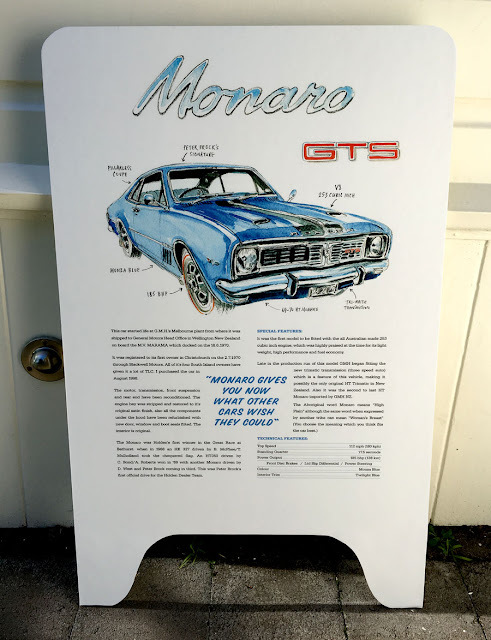 Now this was a fun project! 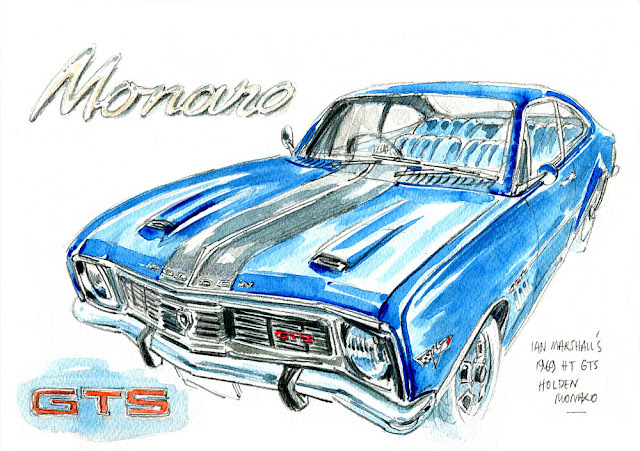 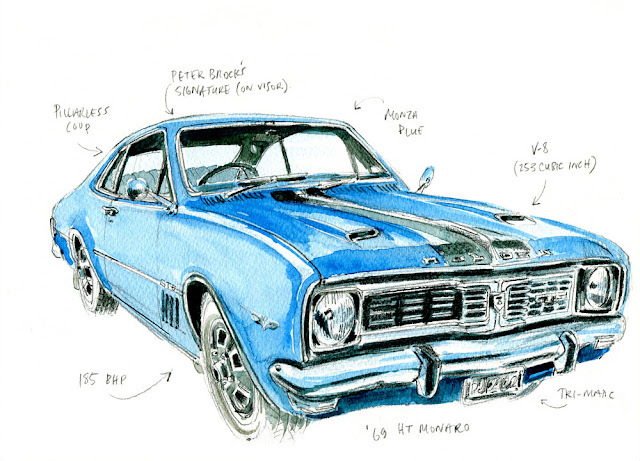 The owner asked me to sketch his superb 1969 Monza blue Monaro. From there we made the artwork below and applied it to an existing sandwich board – all set for the next summer's car shows.